As summer gets into full swing, I’m sure many of you have had the same, terrible, recent experience. Perhaps, despite your best efforts, you’ve taken your boat out of storage to find a mess of moldy yacht cushions and mystery goo. While most boat owners understand the need for regular repair, many boat insurance plans do not cover neglect, including damage to non-mechanical parts. It’s important to establish and follow a care and cleaning regimen for more than just your engine prior to storage, so make sure you set aside time before you leave. 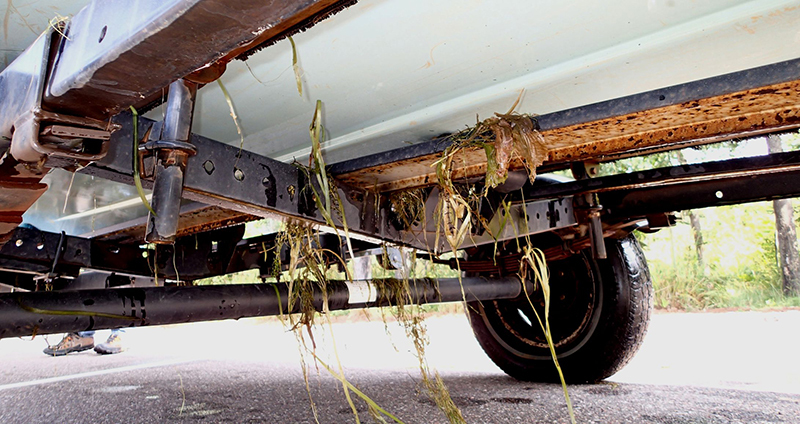 It doesn’t matter how nice your engine purrs if the common areas of your boat are dingy and unappealing. As you go through the more technical portions of the storage prep process, be sure to use a non-corrosive lubricant on all moving parts and wipe everything down thoroughly after you’re done. Clean the dashboard dials and widgets thoroughly to prevent rusting or corrosion that could impact their functionality over time. Drain all fuel from the tank, or use a fuel stabilizer according to appropriate instructions. After performing engine maintenance and prep, place a plastic or canvas cover over it while stored. If you intend to leave your seat cushions or mattresses onboard during storage, place them on one edge to allow air to circulate around them. This may be especially urgent if the area under the cushions looks corroded or if cushions already smell like mildew. If a smell is already present, consider stripping the mildewed inner foam and replacing it with dryfast foam to prevent moisture from gathering inside. If you live in a humid area, you may want to install a dehumidifier or other moisture absorber. Finally, wash every part of your boat regularly, especially if it was used primarily in briny or salty water. If fabric or foam parts smell funky after months of fun and fishing, don’t be afraid to take them with you for a deep clean. If you need a new seat cushion or boat mattress replacement, but you want still want your new parts to match, discard the old foam and bring the slipcovers home for laundering and storage.